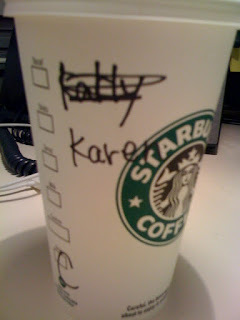 Blah Blah Bklyn: Starbucks did it again! I'm not Sharon this time - I was...Kathy? Karly? Whatever it was, it wasn't Karen.